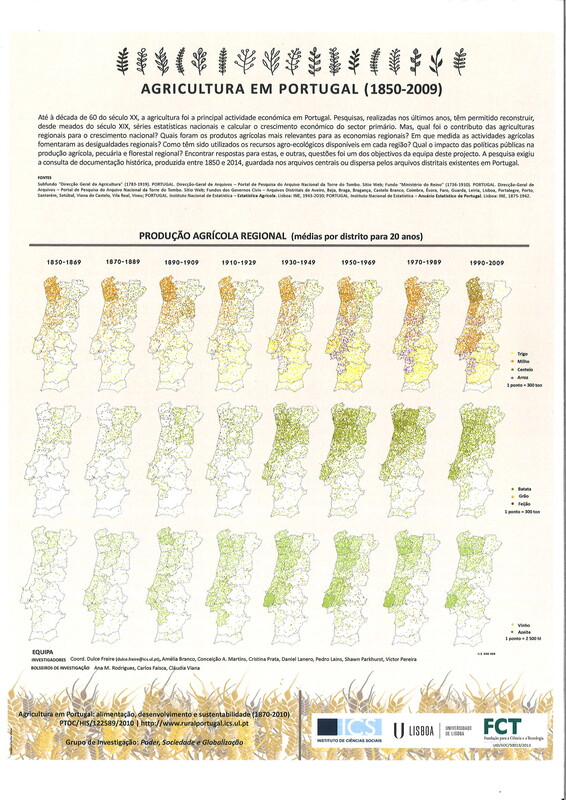 This website offers updated information on rural and agrarian Portuguese History. The research team of the project «Portuguese Agriculture: food, development and sustainability (1870-2010)» (FCT-PTDC/HIS-HIS/122589/2010) provides recourses and information for everyone interested in these topics. The several website sections give detailed information on the research already carried out as well as publications, events, bibliography and new databases. These databases gather information about regional agricultural production, legislation, State and corporatist organizations, and on the elites who occupied the main political and technical positions in the State services. In many cases these information covers a long period, from 1850 to 2013.